Steven M. Berki is a Senior Litigation Attorney with Corey, Luzaich, de Ghetaldi & Riddle LLP. Mr. Berki represents individuals and corporate entities in litigation and class action matters in state and federal courts throughout California. Mr. Berki’s practice involves litigating all aspects of employer rights, consumer rights, and civil rights for both plaintiffs and defendants. He has also authored and argued before the United States Court of Appeals for the Ninth Circuit on a variety of legal issues including federal civil procedure, immunities, and attorney fee provisions. Mr. Berki represents plaintiffs in wildfire cases in Northern and Southern California, and was appointed by the Los Angeles Superior Court to serve on the Plaintiff’s Executive Committee in the Southern California Fire Cases against Southern California Edison, which injured thousands of families in the Santa Barbara and Montecito communities. Mr. Berki has also been appointed to the Plaintiff’s Preference Committee in the Northern California Fire Cases against PG&E, which displaced and decimated large portions of Sonoma, Napa, and Mendocino counties. 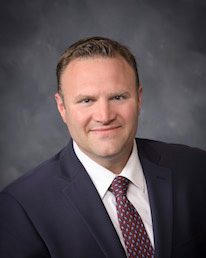 He has been designated as lead trial counsel in several United States District Court cases and appointed as class counsel for cases brought in the Superior Court of California. Mr. Berki focuses his practice on complex litigation, including the representation of litigants in mass tort and catastrophic personal injury cases, employment discrimination and harassment, wage-and-hour violations, employee misclassification, civil rights violations, false claims act litigation, complex business disputes, and appellate matters. Mr. Berki also works closely with corporate clients, providing strategic advice on employment law investigations, litigation matters, subpoena requirements, partnership disputes, and contractual rights.